Rosie is a feral momma we trapped this summer (2013) she was about a year old. 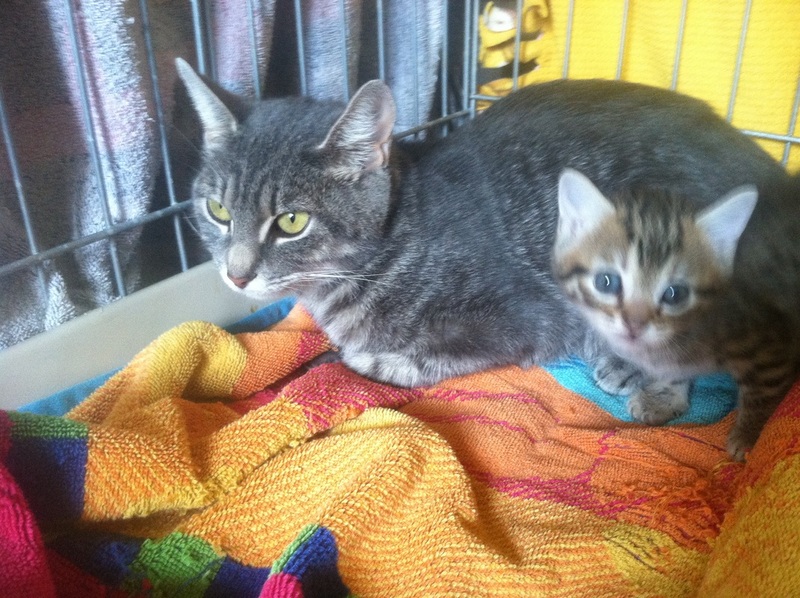 Her older kittens were about 5 months old (Felix, Buddy, Dillon and Skittles) She turned out to be pregnant. She had two babies but one was dead. Davy Doodlebug is her bouncing baby boy! She has since been vetted and is now in our Safe Haven Sanctuary. SPONSORS: Rosie has no sponsors. Sponsor Rosie today!